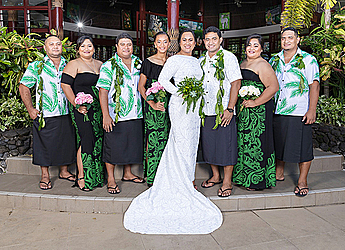 The theory fittingly matches newly-wedded couple, Venus Tianini Iosefa and Fuimaono Magota’amu Salanoa, who tied the knot on Friday, after five years of courtship. 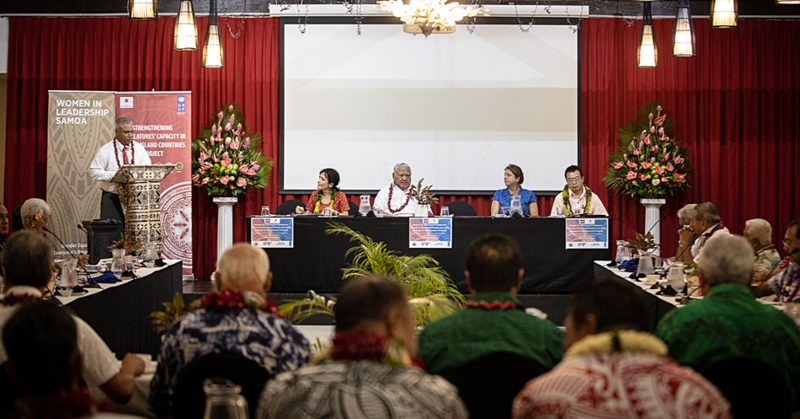 The ceremony was held at the Tanoa Tusitala Hotel and the reception was hosted at Sails Restaurant. Throughout the reception formalities, it was mentioned repeatedly that Fuimaono is the total opposite of his new bride. Mrs. Iosefa-Salanoa couldn’t agree more. “I am opinionated, aggressive and I speak my mind, but my husband (husband it has a nice ring to it), is a down to earth, silent person who just responds with a smile and not a word. “He is an amazing human being that I am forever grateful to be with. “He is the perfect example of the Bible verse 1 Corinthians 13:4-6. “Love is patient, love is kind and is not jealous; love does not brag and is not arrogant, does not act unbecomingly; it does not seek its own, is not provoked, does not take into account a wrong suffered, does not rejoice in unrighteousness, but rejoices with the truth; bears all things, believes all things, hopes all things, endures all things. “He is my blessing and I am one lucky woman,” she said while holding back her tears. The couple’s relationship started in 2012. “We knew each other from U.S.P. in Alafua because we both attended school there, but then we went our separate ways and in 2012, we met again and that’s when things escalated to the next level. “Next thing I knew I was in love and I knew then and there he’s my forever,” Mrs. Iosefa-Salanoa said. 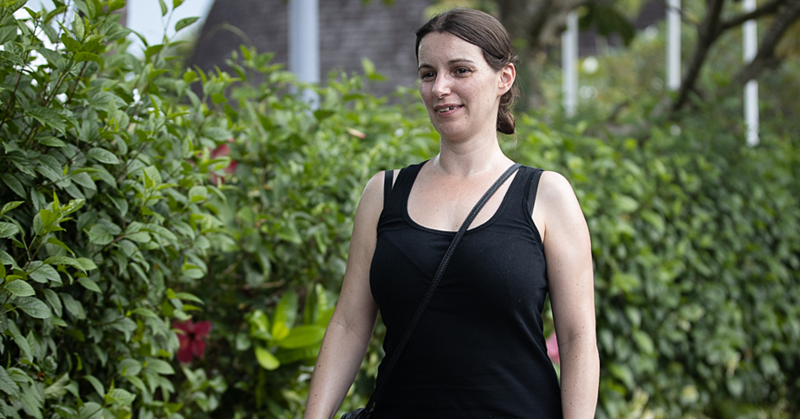 She told the Sunday Samoan that it is psychologically proven that opposite attractions are likely to last a lifetime. 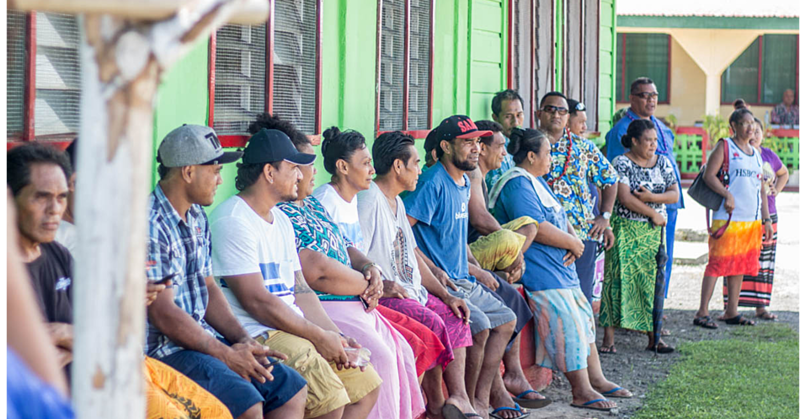 The groom works for the Ministry of Revenue as a Principal Customs Officer and is the son of Ala’iasa Sagalala and Leitu Moananu Salano of Falefa. Mrs. Iosefa-Salanoa is a Principal Regulatory Specialist at the Office of the Regulator and is the daughter of Leiataualesa Su’emalo Lemalu Olive and Loa Iosefa.